Zika is spreading in Florida, but we know how to stop it. Past experience with disease spread through the same mosquito has taught us exactly how to stop it. Naled, an insecticide that is almost 100 percent fatal for the Aedes aegypti mosquito, is already sprayed on about 16 million acres a year in the continental U.S. The news about Zika seems particularly bad as of late. An infant born in Texas died last week due to complications from microcephaly, the first death in Texas to have resulted from Zika. Local transmission continues in Florida: The state will offer free testing to pregnant women, a critically important step, but federal funding is still missing. A recent Guardian piece speculated that an outbreak could be “bigger than we know,” because we aren’t doing extensive testing in other places where the disease may occur. And yet, here in the States, we’re still in OK shape. (Puerto Rico is a different story.) Zika may be new to the U.S., but we know how to contain it. That’s because we’ve fought the battle against its host, the Aedes aegypti mosquito, before. Many times, in fact. We’ve always come out on top. The fight has been waged in the past not because of Zika, but because of two far more severe viruses this mosquito can also transmit: Dengue fever and yellow fever. In 1793, several thousand people died of yellow fever in Philadelphia, famously forcing George Washington to move the U.S. capital. In 1828, the disease moved south to New Orleans and settled in along the Mississippi River. Memphis, Tennessee, alone had six major yellow fever outbreaks in the 19th century, the last causing 2,000 cases and 600 deaths in 1879. But in 1901, mosquito control efforts began, and the last U.S. outbreak occurred in 1905 in New Orleans. Furthermore, a vaccine has been available and extremely effective since 1930. The other Aedes aegypti–carried disease is Dengue fever (also known as “breakbone fever” because it may include severe joint and muscle aches), which has been infecting humans since 1789. According to the World Health Organization, the disease still causes 400 million cases globally each year; though the first Dengue vaccine, Dengvaxia, which was approved in December 2015 in Mexico, the Philippines, and Brazil, should make a big difference. Here in the U.S., outbreaks have been sporadic (and smaller—the largest since World War II occurred in Hawaii in 2015 and infected just 150 people, while most outbreaks infect less than 50), but they have been consistent. It’s because of Dengue that this country’s public health officials have figured out how to control Aedes aegypti, the disease-carrying mosquito that lives in coastal areas during the summer months. We do that with Naled, an insecticide that is almost 100 percent fatal for the Aedes aegypti mosquito. 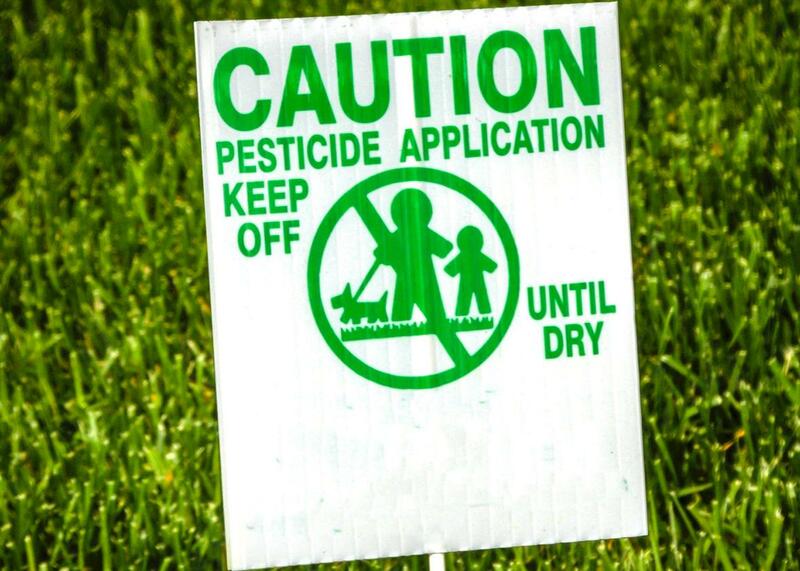 The chemical is already sprayed on about 16 million acres a year in the continental U.S., according to the Centers for Disease Control and Prevention and the Environmental Protection Agency. The other measure that helps reduce these populations is the removal of standing water, since that’s where mosquitos breed. It’s thanks to these basic but persistent measures that Dengue outbreaks are so few and far between here. Zika is expected to follow the same course of isolated sporadic outbreaks as Dengue because it is transmitted by the same mosquito. Florida has currently has 33 cases of locally acquired Zika, most of them in a 1-square-mile area in Miami’s Wynwood neighborhood. This looks very similar to what a small Dengue outbreak would look like, with comparable numbers. Wynwood may be the epicenter because there is a lot of standing water in the area, and mosquitoes can easily breed there. That’s why the CDC is targeting that neighborhood with Naled, to kill adult mosquitos, and a larvicide—which has been effective at reducing mosquito populations. Of course, even all the Naled in the world won’t nip local transmission in the bud immediately. These small outbreaks will continue as long as Zika is spreading out of control in Puerto Rico and other places where U.S. travelers frequent. When these travelers bring Zika back to neighborhoods where the Aedes aegypti mosquito still lives, sporadic outbreaks can result. Zika can also be sexually transmitted, which is why the CDC recommends wearing condoms. The current Zika outbreak is no doubt scary for the people experiencing it, but compared to Dengue, a Zika infection has a much lower risk profile overall in terms of symptoms and mortality. The risks to pregnant women, however, are small but real—studies show that microcephaly occurs in the fetus in up to 13 percent of cases—and pregnant women should both avoid mosquitos and be tested in the event of exposure. Naled is highly effective, but there are other measures in the works to fight Zika. Genetically modified mosquitoes are becoming an extremely helpful tool in the human fight against disease-carrying mosquitos (and could be used to attempt to eradicate them entirely). In fact, trials of these engineered mosquitoes have reduced the local Aedes aegypti populations by 90 percent in the Cayman Islands and have reduced Dengue outbreaks by over 90 percent when tried in Brazil. (These are nonbiting male mosquitoes which breed and create offspring, which die before they can breed.) Another great tool, a vaccine against Zika, is currently being developed, with three candidates showing exceptional success against the Zika virus in monkeys and now entering National Institutes of Health–guided human trials. The future of mankind against mosquito-borne disease is bright. We need only to look to history to see this. Read more from Slate about the Zika virus.